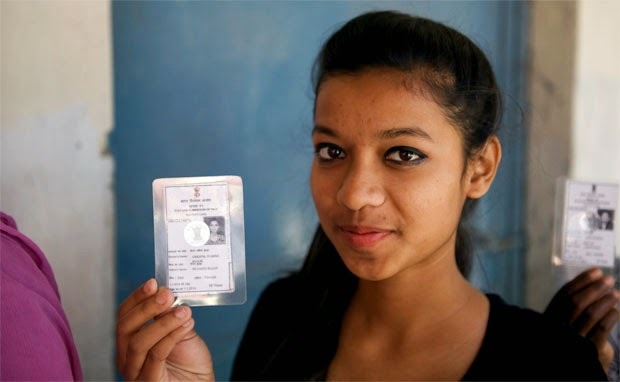 www.eci.nic.in - Have you lost your Voter’s Identity? Don’t worry! You can get the duplicate one. Do you know how to apply for the duplicate voter ID? Here we have included the official steps to apply for the duplicate voter ID. Voter ID is a very vital document that every individual must have. It is a proof of the citizenship of India. With availability of voter ID you are eligible to give vote for the elections of India. The Voter’s ID card is issued by the Chief Election Commission (CEC) officers and distributed booth level officers as well. If you lost your ID you can’t vote in the elections. The only solution is to get the duplicate one. Follow these simple steps given below to get the duplicate ID. 1. First of all, you need to file FIR instantly to the nearest police station. 2. Once FIR is filed, it is important to keep the copy of FIR with your for the further processes. 3. Collect the Form 002 for the issuance of the duplicate voter ID card. 4. Fill up the application form with obligatory details and required documents in it. 5. You need to attach the document which is the proof of your identity such as driving license and passport. 6. Submit the application form to the regional Chief Election Commission office. 7. Collect the receipt for getting the documents. 8. Now, you have to wait for the ID card to be issued. 9. You can check the status of your Duplicate voter ID online. 10. Moreover, you can apply for the Duplicate ID online as well. You need to log on to the election commission website and download the Form 002. Attach the documents and copy of FIR with it. Submit it in the same way as mentioned above. These are the official instructions you need to follow to get the duplicate voter ID card. It is not at all a difficult task to get another ID. Wait for the voter ID to be issued and go collect it from the office. Ask a question below for any doubt regarding how to get Duplicate Voter ID. Update :- People from Bihar should get new Voter Id (if you don't have one or lost earlier) before Bihar Assembly Election 2015. You can visit http://ceobihar.nic.in for more updates and to apply for new voter id online.